Submitted by mark on Monday, May 13th, 2013 at 4:30 pm. Submitted by mark on Sunday, April 7th, 2013 at 2:51 pm. "Musical theatre has new home" Nelson Mail report on Nelson Musical Theatures's new home in "old Cathedral Parish buildings" relocated to Founders Heritage Park. Submitted by mark on Friday, June 7th, 2013 at 12:21 pm. "Iconic Founders Park windmill loses its blades" Nelson Mail reports the Blades have been removed for maintenance. Submitted by mark on Wednesday, March 27th, 2013 at 2:04 pm. The Tasman District Council has a Heritage page on their website. Interested in the Tasman District? The Heritage page has a brief history of the district and museums listed as well the usual heritage information. Submitted by mark on Wednesday, March 27th, 2013 at 1:50 pm. "Editorial: Place for good design post-quake" Nelson Mail Editorial. The Editorial discusses the aftermath of the Christchurch quakes with reference to Nelson. It cites a study for the Nelson Council by Michael Cullen an Australian Urban Designer. Submitted by mark on Wednesday, March 27th, 2013 at 1:07 pm. Submitted by mark on Wednesday, March 27th, 2013 at 1:33 pm. "Heritage Activity Management Plan 2012-22 " adopted by the Nelson City Council on 20 September 2012. Submitted by mark on Thursday, February 28th, 2013 at 1:42 pm. Resource management reform 2013: have your say -details of Consultation Meetings etc. The Ministry has reposted the Public Meetings times, dates and venues. "If you would like to attend a meeting or hui you do not need to RSVP." Info Ministry website. Nelson City City Council and Heritage- Interesting! Submitted by mark on Friday, May 10th, 2013 at 11:05 am. Nelson City Council has for Heritage Properties has: Zero fees for resource consents, Rates Remissions for Heritage Maintenance and a Heritage Project Fund. Heritage Property Ownership. Submitted by hpaadmin on Tuesday, January 31st, 2012 at 12:42 am. 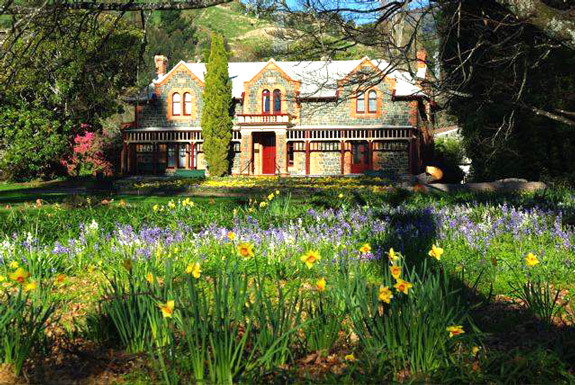 Isel House is a Nelson heritage gem. Picturesque Isel House is set in 4 hectares of gardens and woodlands (Isel Park). Easy to find, (on the Main Road in Stoke) and only 12 minutes drive from Nelson’s City centre make it an essential visit. Isel House has 6 rooms open to the public, which have been furnished with original fabrics, furniture, 19th century oil paintings and a high end ceramic collection and displays of Nelson’s history. Surrounding Gardens: Stroll around the very well maintained gardens and woodlands and enjoy the legendary Nelson fine weather and sunshine! Outside Hours: Admission by appointment. Admission: Donation (and merchandise to purchase).